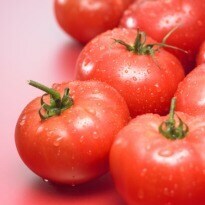 Tomatoes May Trigger Bad Body Odour! Bad body adour can land you in very embarrassing situations. As the weather warms ups, the heat and the sweat add to the woes. Contrary to what most might think, sweat is not the sole reason for bad body odour. In fact sweat has no smell as it is composed of water and salt. In scientific literature, bad body odour is caused due the bacteria which gets attracted to the areas which sweat the most like underarms, feet etc. But with this new research, all those troubled with bad body odour might head for a change in the menu. It is not just genetics and poor hygiene that are to blame for bad underarm odour - tomatoes also join the list, a fascinating study reveals. This latest research, published in the journal Medical Hypotheses, holds tomatoes responsible for making you smell bad. Tomato stems are filled with an oil that smells like sweat. 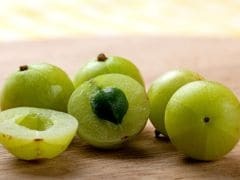 The oil contains terpene - a substance that gives fruits and vegetables such as oranges, lemons and hops their smell and flavour, the researchers added. Terpene-containing compounds are broken down by enzymes, producing chemicals that act on the antioxidant compound lycopene found in tomatoes. "This, in turn, produces other chemicals that contribute to bad body odour," explained Charles Stewart, a physician in Britain who himself went through the same problem. Reducing the consumption of tomatoes and good personal hygiene could eliminate the need for deodorants, he noted. Since this is one of the first claims to be made against tomatoes, maybe one should wait for a few more results before taking the plunge.